If you're thinking about filing divorce papers, you need to make sure that everything is covered before the final papers are drawn up. 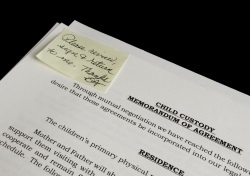 Everything that is relevant to your situation should be detailed in your papers, including how the assets and debts will be divided, the arrangements for custody and visitation, alimony and child support provisions, etc. It may seem like a lot of work and somewhat excessive, but you need to cover all your bases to protect your rights both during and after your divorce. Most people choose to retain an attorney to handle the paperwork for them, which is a good idea in most situations. Because each state has specific laws concerning all the aspects of divorce and child custody, it's often easier to have someone who has experience in this area to handle your case. This is especially true if you have been married for a while and have acquired property and debts during your marriage. On the other hand, if you and your husband don't have any children and very few assets or debts, you have the option of filling out your own divorce papers and filing them at the courthouse yourself. The following page has state specific divorce forms. 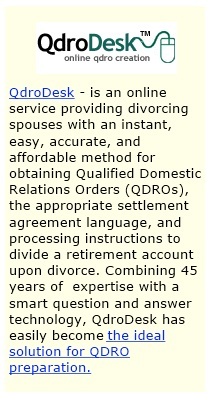 You can also get more information on this option in our section on do it yourself divorce. If you go this route, take your time when filling out the divorce documents, as they are legally binding and the provisions can affect you for a long time. 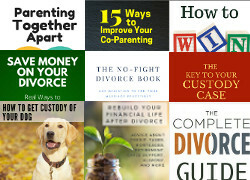 Whether you do it yourself or have a lawyer prepare your divorce for you, you should have the following documents on hand. Any other provisions specific to your situation. Temporary orders are generally filed with the initial divorce petition to maintain the status quo while the divorce is pending. If you have children, you should seriously think about filing for temporary custody and support of the children. You can also ask for interim relief to help pay the bills until everything is settled. A temporary restraint against domestic violence is also a good idea if there has been a history of abuse in your marriage. 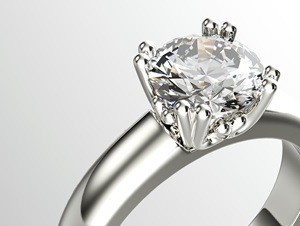 Once your divorce papers are drawn up, take some time to carefully review them. If you don't understand what something means or if you're uncomfortable with any of the provisions, you should discuss your concerns with your lawyer. If you prepared your own papers, you can often hire an attorney at an hourly rate to go over your documents with you. You shouldn't sign anything before you fully understand the implications of everything you're agreeing to. And don't sell yourself short just to get out of a bad marriage. After both spouses reach an agreement on everything and sign the divorce papers, they will then be presented to a judge for approval and the final divorce decree will be filed at the courthouse. If you received any property in the divorce, you'll need to have your spouse sign a quit claim deed, which can then be recorded at the courthouse. If you received any vehicles, have your ex sign over the title in the lawyer's office, and file for a change of title at the motor vehicle department.